Cheesy Eggplant Apple Quesadillas | Dizzy Busy and Hungry! Ever try to get your kids to eat eggplant? If your kids are anything like mine, it probably was not the most successful endeavor! Thing 2 especially makes it no secret that he is NOT a huge fan of eggplant. Not even close. But I bought an eggplant anyway. They were so big and purple and beautiful, I just couldn’t resist. Plus, I like eggplant, DH likes eggplant, and we deserve to have some eggplant once in a while! So, there I was with this eggplant, wondering how to prepare it in a way that would at least give me a fighting chance with the kids. 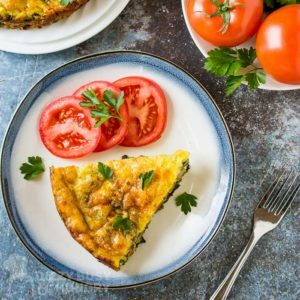 The nice thing about eggplant is that the flavor is fairly mild, so you can combine it with some other yummy ingredients and the kids might not even realize they are eating a dreaded vegetable! Thing 2 particularly loves quesadillas, so I decided to try the eggplant in a quesadilla. I added apples, spinach, and some cheese and VOILA! Dinner was served! I really love all the different flavors going on in here. The apple and the eggplant really complement each other, and the cheese pulls it all together. 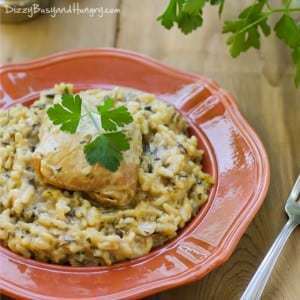 Delicious, and a little different from what we normally have for dinner! You may be wondering what Thing 2 thought of this whole thing. Well, he didn’t love it, but he liked it! Score! 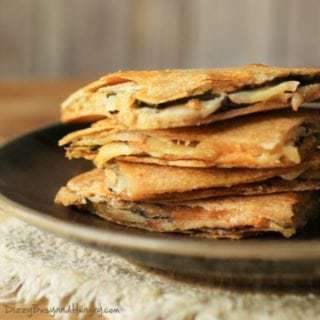 Savory eggplant, tart apple, and melted cheese stuffed between two crispy whole grain tortillas! Core the apples and slice into rounds about 1/4 inch thick (use a mandolin or food processor if you have one). Slice the eggplant into rounds about 1/4 inch thick. Heat the olive oil and butter in a large skillet over medium-high heat. Add the eggplant and apple and cook about 5 minutes until softened (you can do this in 2 batches if your skillet isn't large enough to cook it all at once). Set aside. Butter one side of a tortilla and place butter side down on a baking sheet. Repeat with 3 additional tortillas. Distribute the apples, eggplant, spinach and cheese among the 4 tortillas. Sprinkle each with 1/4 teaspoon nutmeg. Butter each of the remaining 4 tortillas on one side, and place on top of the quesadillas, butter side up. Bake for about 10 minutes, until the cheese is melted. Cut each quesadilla into quarters and serve. 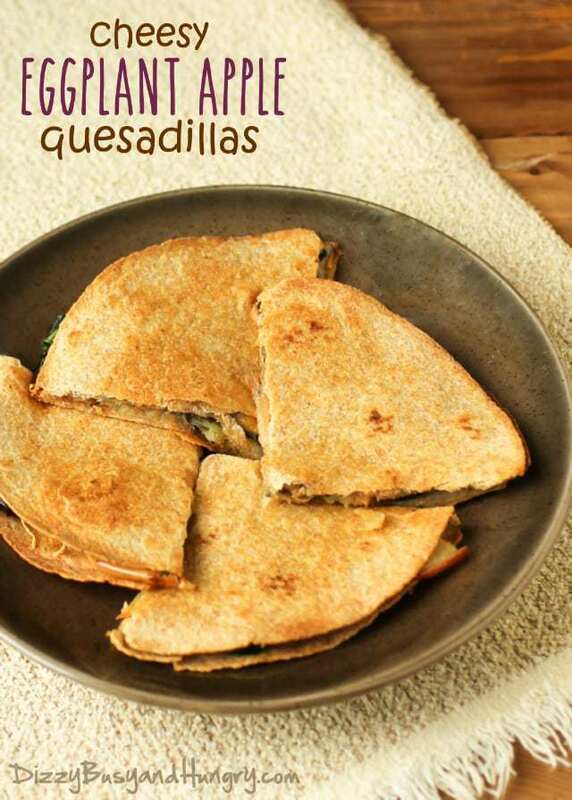 The quesadillas sounds absolutely delicious. I love the combination of all the ingredients. Thanks for shring this at Fiesta Friday! 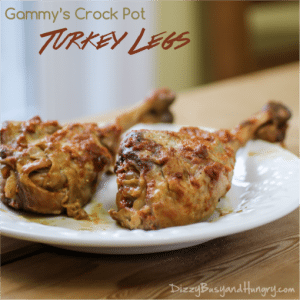 How fun is this recipe…love it. Thanks for sharing on Fiesta Friday! Omg this dish sounds amazing! Thanks for sharing in the Thursday Favorite Things Blog Hop! What a fabulously delicious way to disguise eggplant – or any other vegetable! 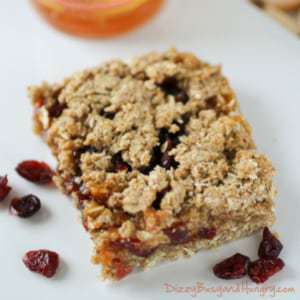 I love the addition of apples and spinach too – yum! 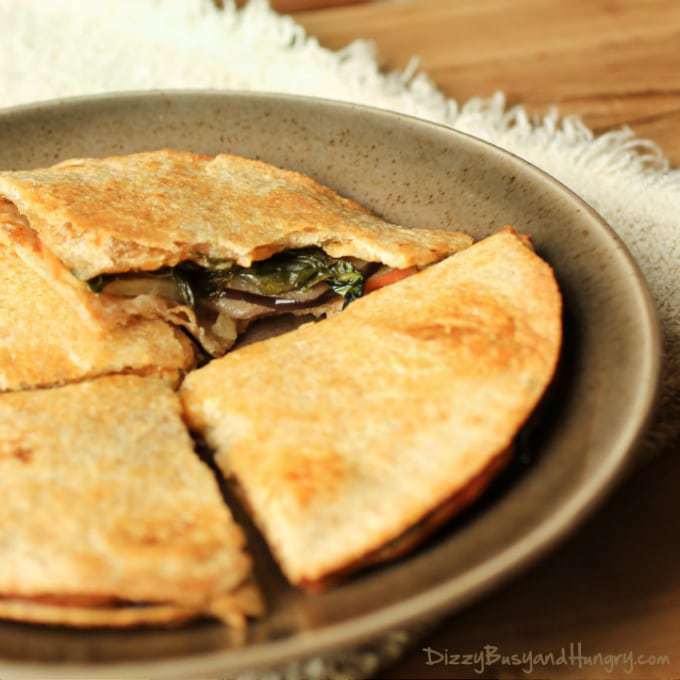 Fabulous idea to put eggplant in a quesadilla! This looks SO good! It looks like the eggplant is sliced thinly in this quesadilla, which is just the way I would make this! Great combination! 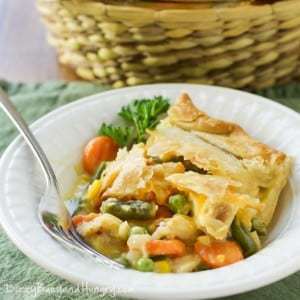 Pinning to my Meatless Monday board! Wow! I would have never in a million years thought to put apples and eggplant together! 🙂 These look delicious. I have never had eggplant and apples together. I will have to try it. They look great. What a fun combo! This looks delicious!